Beta has quite the industrious lot in its engineering department. The 2015 430/480 models saw a whole plethora of improvements, to include completely reworked engines and heads, lighter weight and better handling. In the competitive world of trail and race bikes, if you lift, you lose, and Beta shows no sign of easing up anytime soon. The 2016 430 RR and 480 RR roll out with a host of new improvements to include fuel injection, a lighter chassis and more. 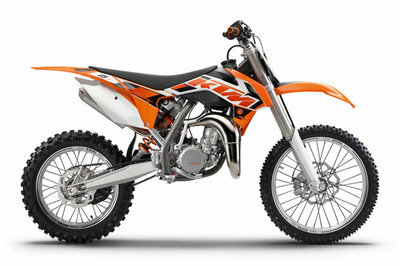 This series of bikes is meant not only for the track, but also for the casual trail and technical competition. 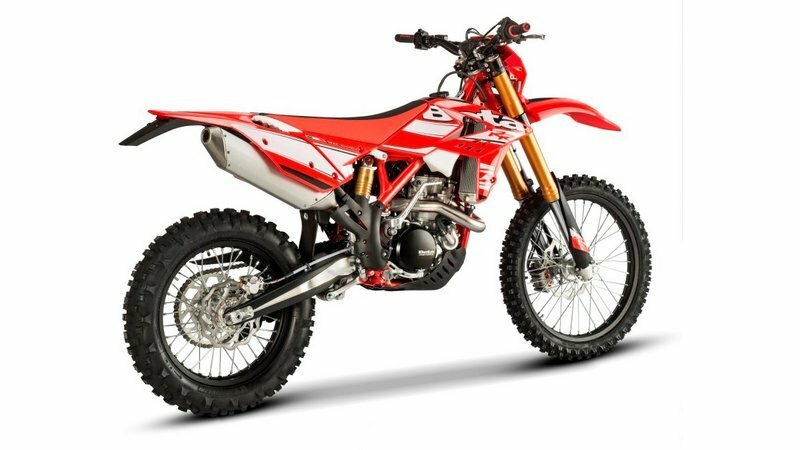 It wears many hats, but is a bit milder than, say, a supercross-capable bike would be, and the suspension isn’t quite up to the big jumps. 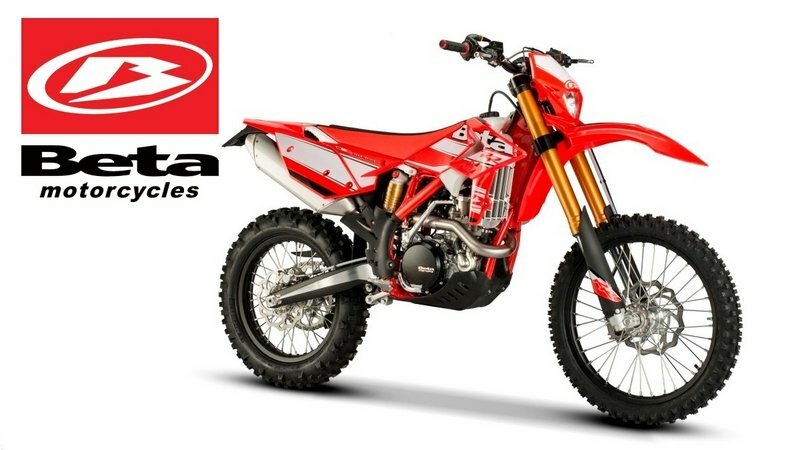 This isn’t a problem, though, because its agility and power delivery make it more suitable for technical work and motocross/enduro competition. Let’s take a look at what’s new for 2016, shall we? 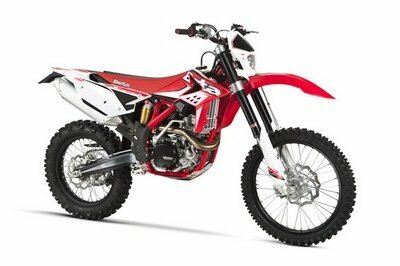 Continue reading for my review of the 2016 Beta 430/480 RR. 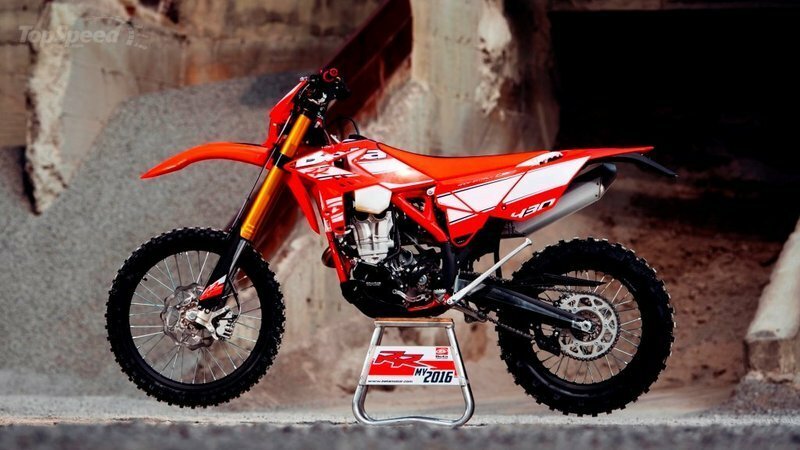 As with all MX-type bikes, function drives the form, and these Betas are no exception. Nearly-straight upper lines leave plenty of room to shift your weight in maneuvers, but I would be remiss if I didn’t mention the seat — the hard, hard seat. Word on the street has it the seat is one of the hardest around, even stiffer than KTM’s Duke seats. Granted, you won’t be making any long-distance treks on this kind of bike, but the seat will certainly encourage you to stand up a lot trial-bike style. Another thing riders comment on immediately is the long-bike feeling they get on these rides. It handles long as well, but while this keeps the bikes from being extremely agile, it also makes it stable on the straights and confident in the corners. Bottom line: it’s not a mountain goat for trials or a supercross machine, but it does fill the vast niche between. A double cradle frame supports the engine on molybdenum-steel frame members with a polymide-plastic skid plate to protect the engine- and frame bottom, and the layout leaves us with 12.6 inches of ground clearance and a 36.8-inch seat height. The 26.5-degree rake and 23 mm offset pushes the wheelbase out to 58.7 inches on 48 mm Sachs usd forks. A longer guide spring, better top-out spring and larger bleed hole improve top- and bottom-out behavior, plus they come with compression and rebound adjustments for a variety of conditions. The rear end gets a Sachs, aluminum body, coil-over monoshock that comes with high- and low- speed compression damping, as well as the customary rebound damping. Suspension components at both ends deliver a plush, 11.4 inches of travel, which should be enough for most non-supercross activities. Hydraulic calipers bind the 260 mm front and 240 mm rear, wave-cut rotors. Wheel size is at the upper end of the range with a 21-inch front, and 18-inch rear tire, capped with Michelin Enduro Competition knobbies that struggle a bit on rocky surfaces, but grip well in the sand and soft pack. Now for the difference between the two bikes: the engines. While they both run with one-lung, four-stroke, liquid-cooled mills, the 430 clocks in with 431 cc, and the 480 displaces 477.5 cc. Both run with electronic fuel injection, DC-CDI ignitions, and electric starters with kickstarters as a backup. Both plants are oversquare, short-stroke engines. The 480 runs with a 100 mm bore and a 60.8 mm stroke, versus the 430 that uses the same stroke – and the same crank, I reckon – but with a 95 mm bore and higher compression at 12.33 to 1 over the 480 at 12.1 to 1. Both plants aspirate through four-valve heads, with a 42 mm throttle body to control the air-fuel mixture and throttle. Likewise, they share a common six-speed transmixxer, wet clutch and chain drive. So far, feedback on this year’s Beta 430/480 engine has been mostly positive. Riders report plenty of power with a smooth, manageable delivery that strikes a balance between power and controllability. On a slightly sour note, the crisp throttle response in both directions is a little off-putting, and it makes really technical work more difficult than it needs to be. On the plus side, your dealer can program the bike with one of two different engine braking profiles for a bit more flexibility to accommodate different end-uses. 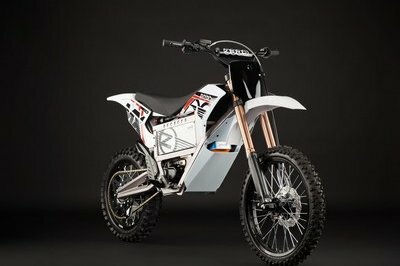 Since both bikes run identical rolling chassis, and only 46.5 cc to separate the engines, it should come as no surprise that the stickers are near-identical twins. The 430 rolls out at $9,399, while the 480 goes for only a bill more at $9,499. 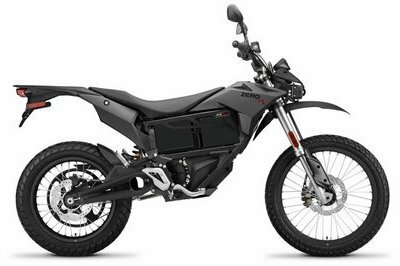 Both come with a six-month, limited warranty, which is about mid-range for off-road bikes. 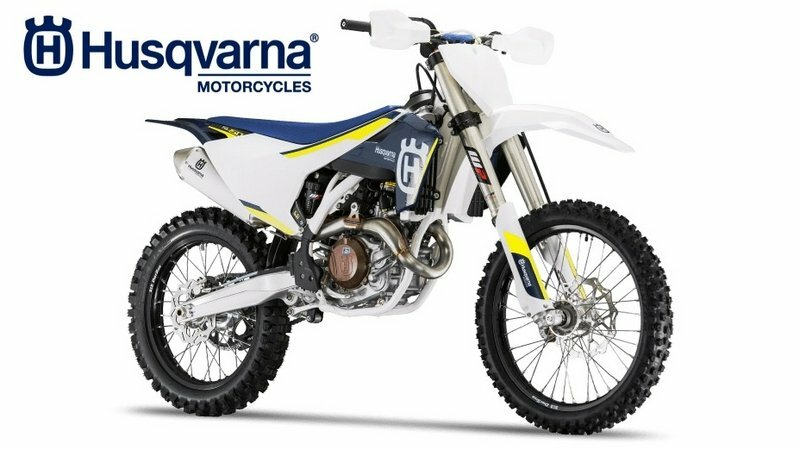 The search for a competitor took me to the FC 450 from Husqvarna, not because of any lack of comparable-sized engines, but because I like Husky products, and am pulling for their newly-reunited design team to succeed. So without further ado, let’s check out the three-way head-to-head. Right off the bat, the Husky enjoys 14.5 inches of ground clearance, almost two whole inches more than the Beta. 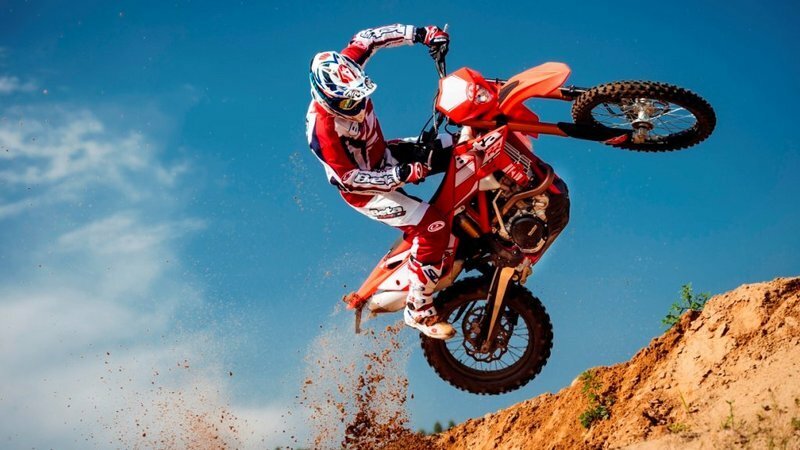 The Husky lays into the corners better, and is capable of supercross-type competition. Power from the liquid-cooled, 449.9 cc plant comes tempered by a launch control to help you stick out of the gate. 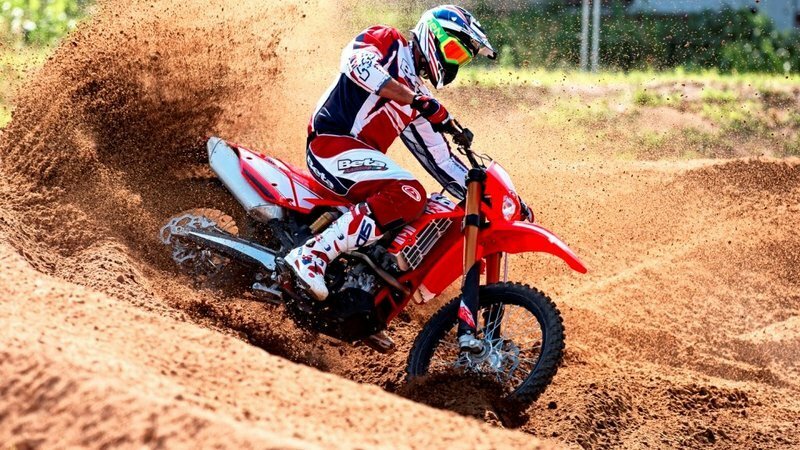 Beta packs in an extra gear over the five-speed Husky for tighter control over the usable powerband, and all three engines deliver smooth, controllable power. 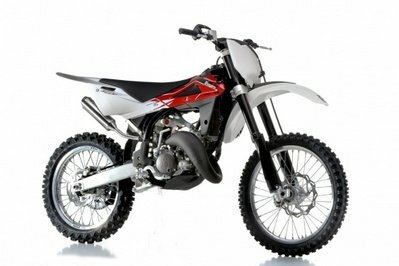 Beta runs a slightly better suspension, as the Husky’s front forks come with no preload adjustment – a definite problem for the big-or-small crowd. Large, inverted (usd) forks keep all the front ends stiff, and the WP suspension on the Husky trumps the Sachs on the Beta in suspension travel by a slim margin at 11.8 inches, 0.4 inches more than the Italian challenger. Wave-cut brake discs abound, with all models taking advantage of the extra heat dissipation and self-cleaning properties inherent in the design. At 58.5-inches long, the Husky comes out just a hair shorter than the Beta at 58.7-inches long. Beyond that, they both follow the same, well-established, dirtbike mold – unfortunately that includes the seat. Both are noted for their uncomfortably hard seats, but Husky compounds that problem by using a rather slippery cover on the FC 450 seat. Bottom line here: if you were looking at one of these bikes because the seat was too hard on the other one, abandon hope and turn back now. My wife and fellow writer, Allyn Hinton, says, "I’ve said this before that I really like the availability of service documentation on the Beta website. I guess it’s the mechanic in me. I like a bike that I can just have fun on and these in the 400-to-500 cc range fit the bill."